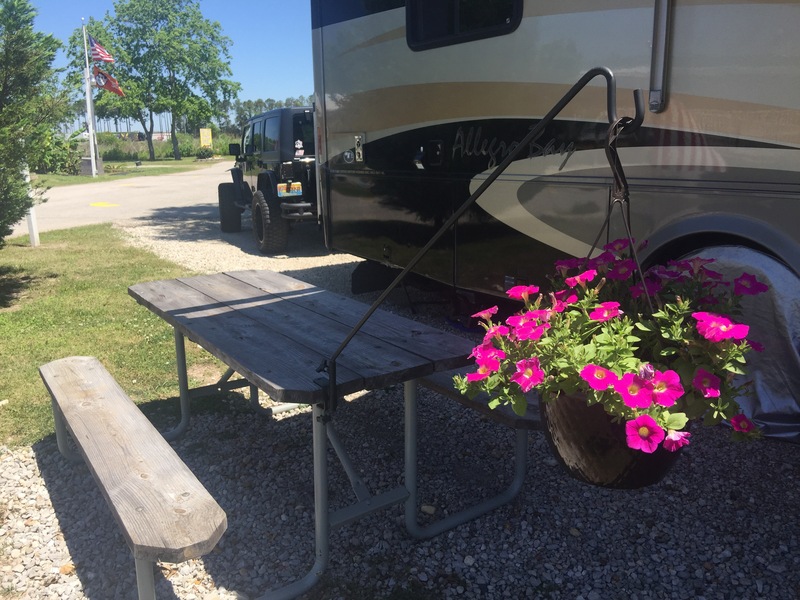 When you’re moving from place to place on a long trip in the RV it’s easy to forget things. There’s a surprising number of steps to remember for a smooth trip. Since the beginning we have used these as reminders. 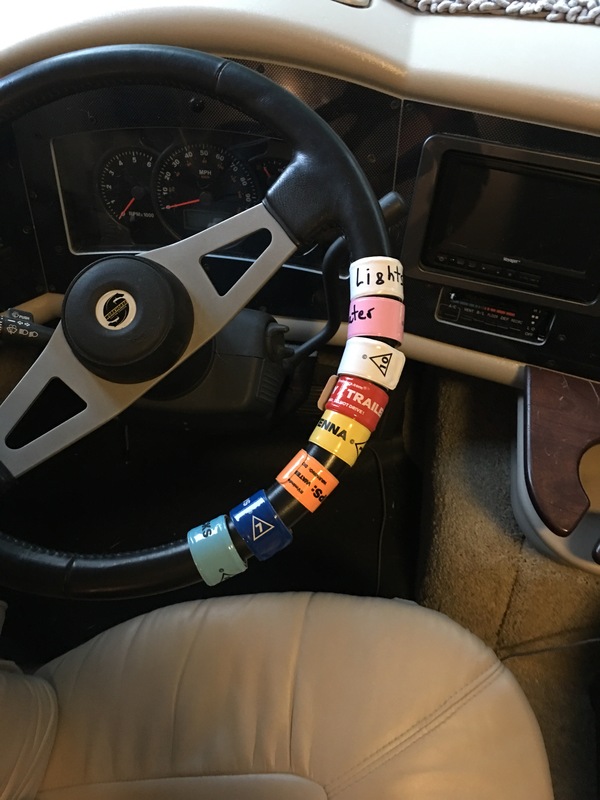 They’re essentially slap bracelets for your steering wheel. 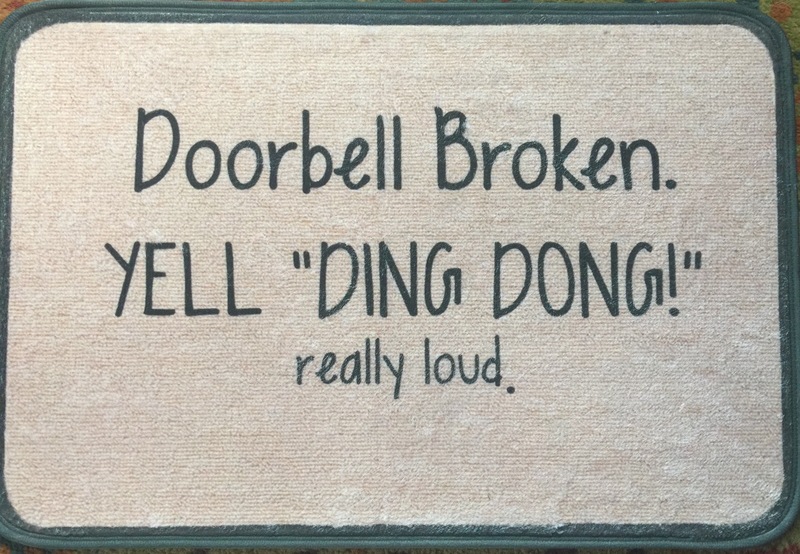 They remind us of various things, like retract the antenna, close bay doors, disconnect utilities, etc. The packs we bought also come with a couple of blanks to write in your own. It’s a cheap investment that can save you thousands in damages and hassle. 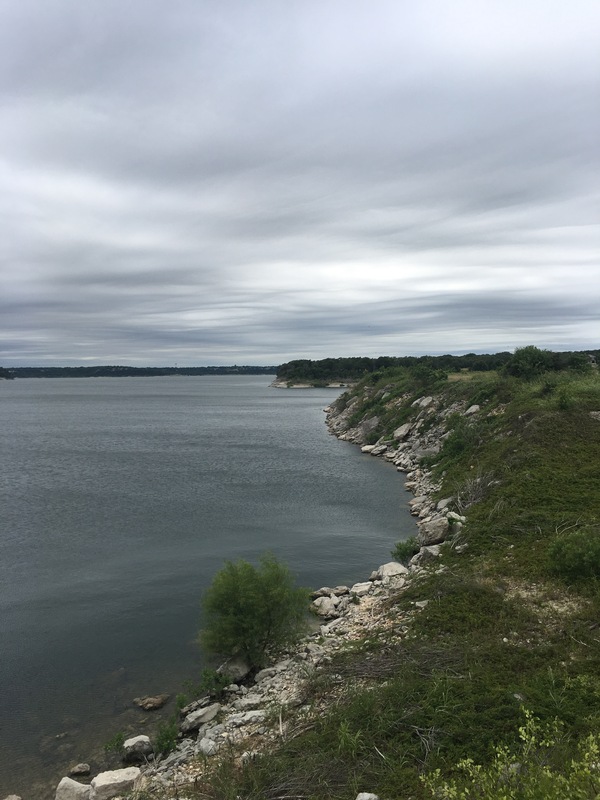 Daisy and I were hiking trails around Lake Benton in Texas when I spotted this large feline track. Eyes open and head on a swivel. On our way back to Florida, we’ve stopped for a few days in the Ft. Worth, Texas area. 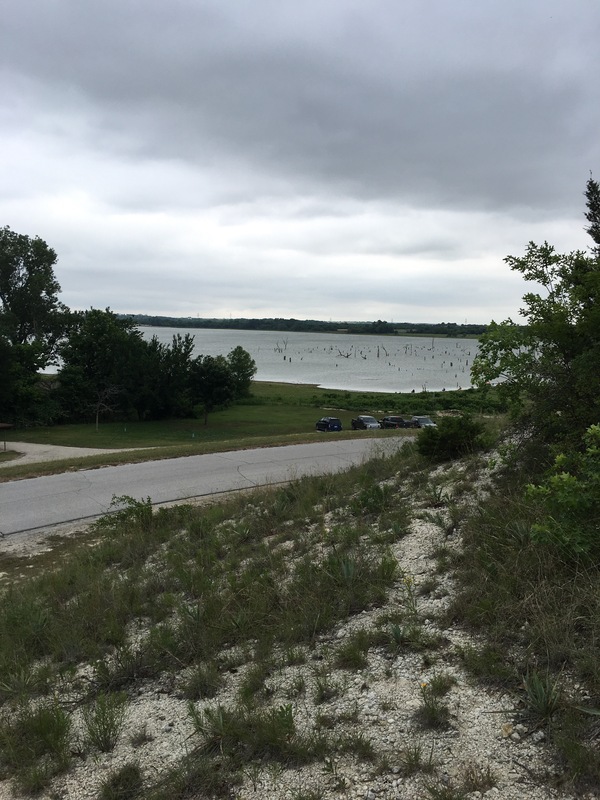 We’re in our RV overlooking lake Benbrook in Holiday Park. It’s a US Army corp property. The sites are very nice, although most of them are not very level. The sites have electric and water connections but no sewer. There are dump stations in the park. There are a few miles of hiking trails as well as whatever water activities you’d want to do. There’s a lot of wildlife around, including predators, so be careful with pets. 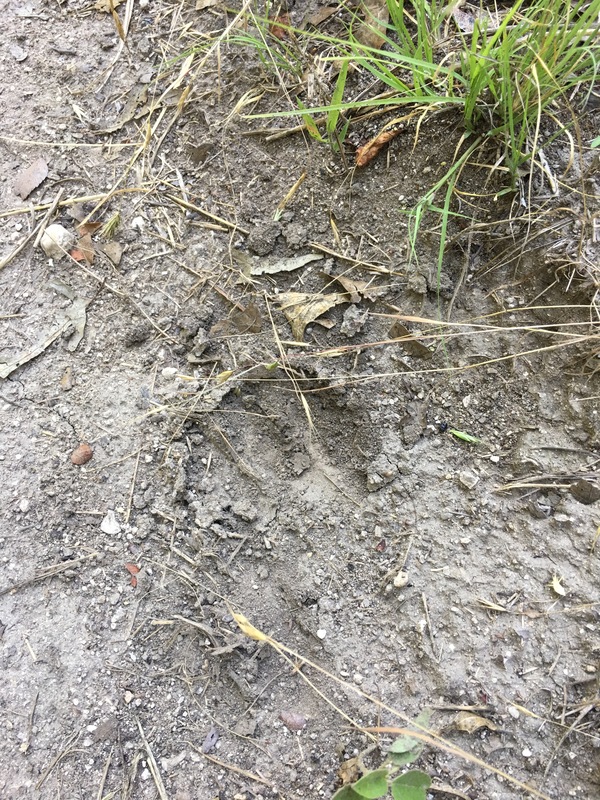 Daisy and I came across a large cat track on the trails. The same day the gate worker showed a picture of a panther crossing the road near the front gate. One major complaint we have is that the only entrance gate is locked at 10pm and you can’t get in or out until 6 am. This policy seems insane to us. I really don’t know how someone thought this policy was a good idea. We’ve got a couple of days left and we’ll continue east. 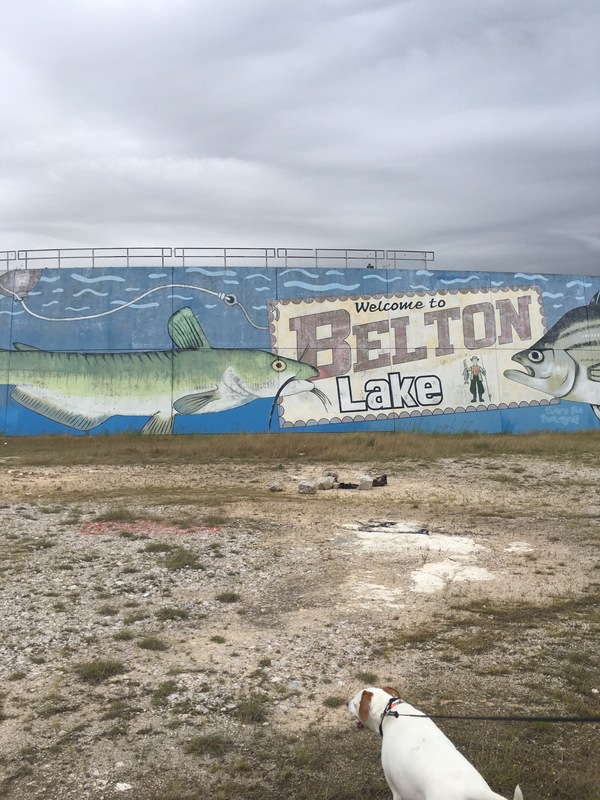 We’re finishing up a short stay in Belton, Texas. We’re staying at Live Oak Ridge, an Army Corp campground. It’s a very well kept place with lots of space and shade. Each site has water and electric, but no sewer connection. There is a dump station though. The views of the lake are great. Tomorrow we start back to the east. We stay in so many different places and environments. Sometimes we’re urbanites. At other times we’re country folk. Both have positives and negatives. And no place is the same. After a long stint in the country it’s awesome to take advantage of the metro conveniences. One of which is Yelp delivery. It’s convenience on roids. Open the Yelp app. Pick the delivery place. Order, pay, and presto! Dinner is served. Not just weird pizza either. We left Duscon, Louisiana this morning. Our work camping situation came to an end sooner than expected. We’re disappointed that it didn’t work, but we feel that we did what we could. One of life’s curves I guess. Regardless, we decided to use the unexpected open schedule to head west to Texas for a short time. We’ve stopped for a few days at Traders Village in Houston. Soon we’ll go east. Most likely to Florida. Jodi has been looking for a good location to stay through the summer. Then we’ll regroup, replan, and move out. Well, it’s time for an update. I know it’s been awhile since our last post but it’s not for lack of trying. I typed up an awesome blog post with tons of pictures from our recent stays at Harvest Host locations, scheduled it to post, waited for it to post, realized that the entry didn’t post OR save, got mad, decided to punish WordPress for it’s sins, and gave up. 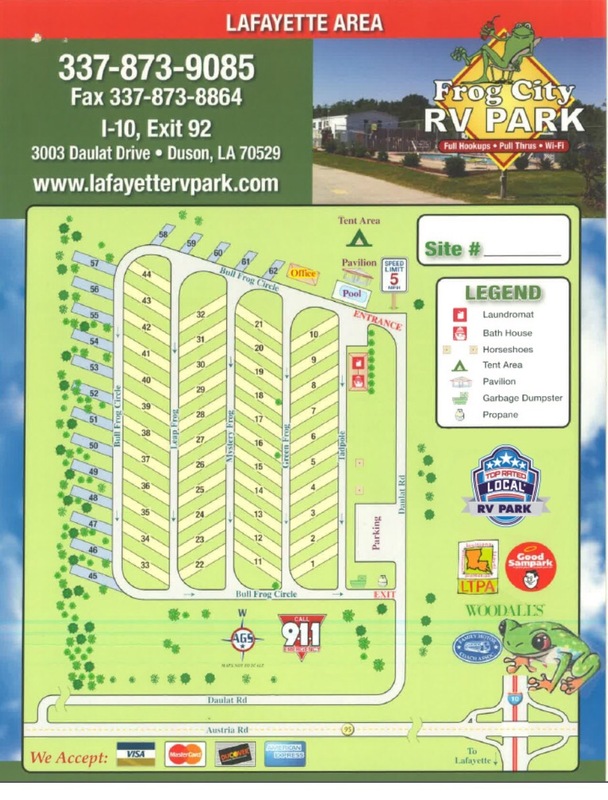 Now, we are staying at Frog City RV Park in Duson, LA which is just outside of Lafayette. 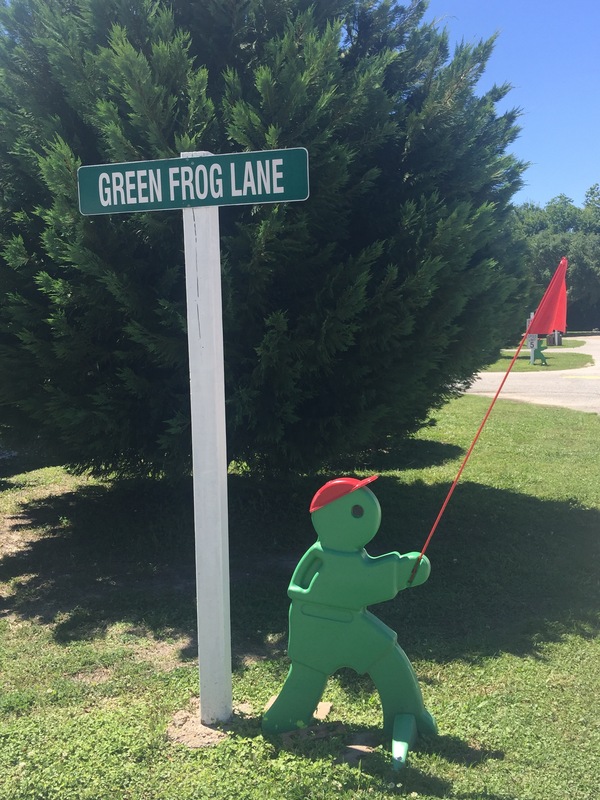 It is such a nice little park and there are many fun things to do in the area. Not only are we guests here, we are also part time employees. We just fill in on the weekends now and then for the full time managers of the park. 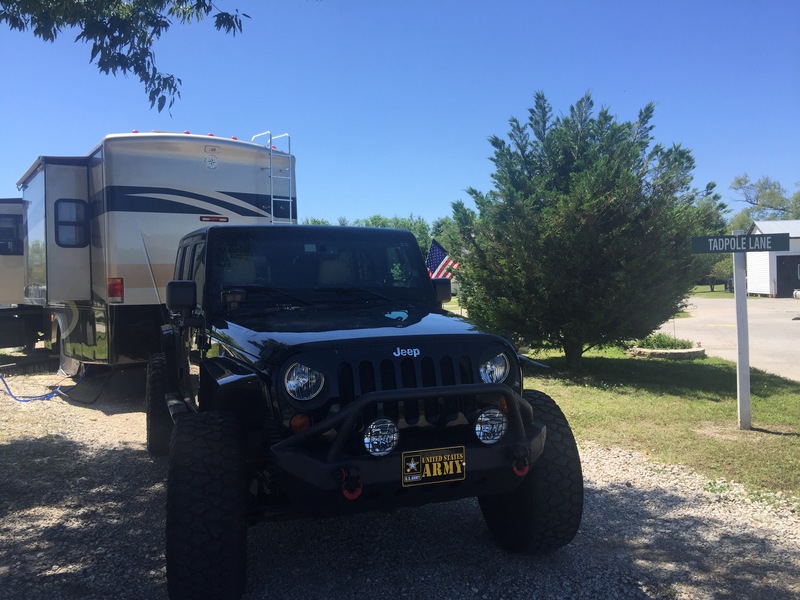 For you non-RV’ers out there, this is called Workamping (work camping). This is when you are hired by a park in exchange for a free site and sometimes pay and other perks. So, we will be living at no charge for the next few months in exchange for a few hours of work. We tried this one other time and it was a MAJOR fail!!! That last place treated it’s workampers like free slave labor. We left after a week. But, we sure found a good one here! It’s a slow paced, 62 site, RV park right off of I-10. 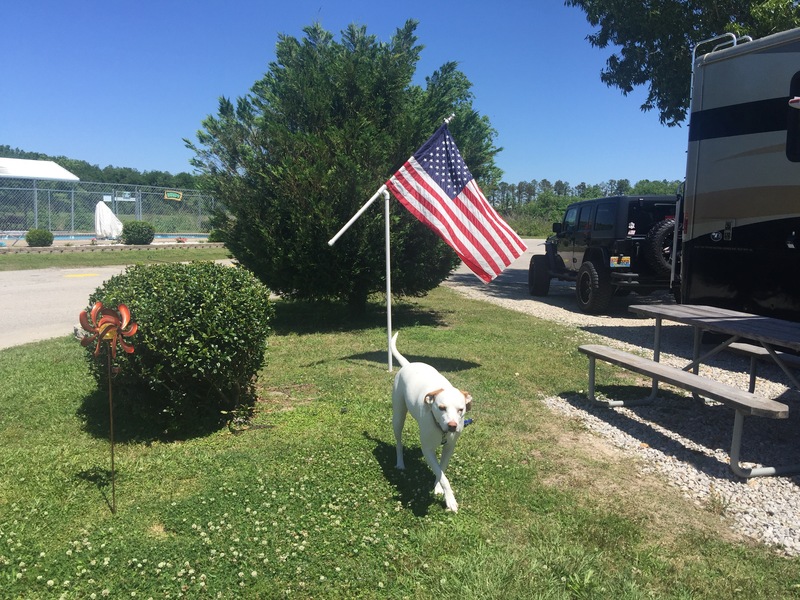 Everybody loves Daisy and she enjoys playing the park “Welcome Wagon”. Stop by and say hello if you’re in the area. It’s a great place to stop if you’re headed West to TX on I-10. There aren’t any stops after us until TX (well, there are a few that are FULL of monthly renters in Lake Charles because of the pipeline and two new factories). 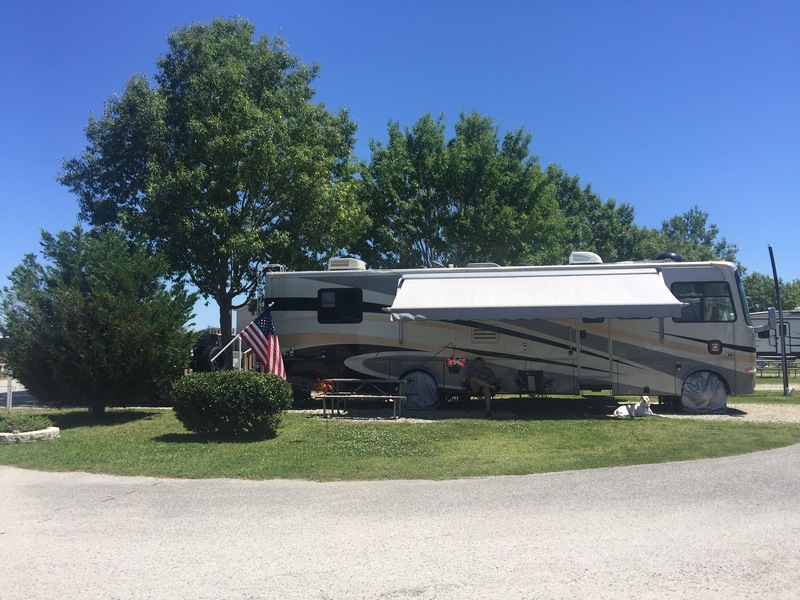 We recently joined Harvest Host which connects RV travelers with businesses that allow RV’ers to stay overnight, usually at no cost. https://harvesthosts.com/&nbsp;Harvest Host p.s. If you decide to join Harvest Host please consider listing us as your referral, Brodie and Jodi Brown. We’ll both get a free month. 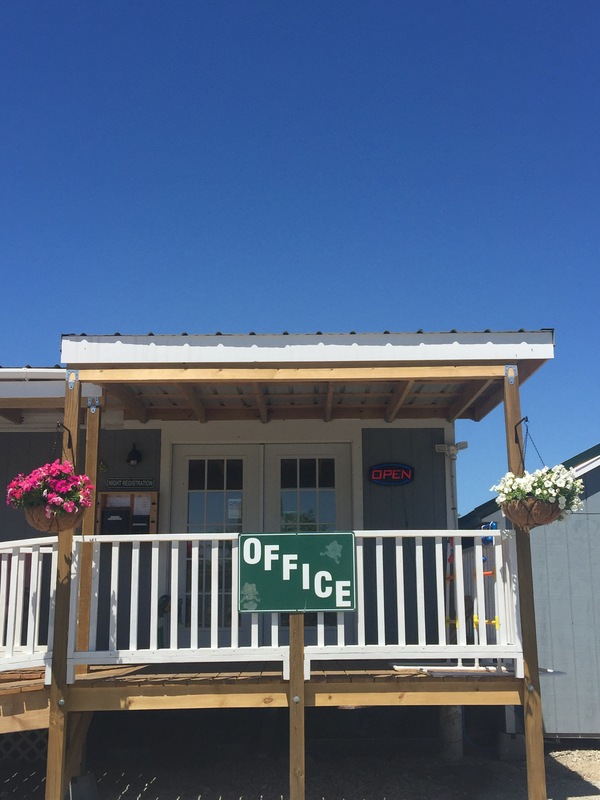 This week we stayed a night at Gulf Coast Gator Ranch in Mosspoint, MS. 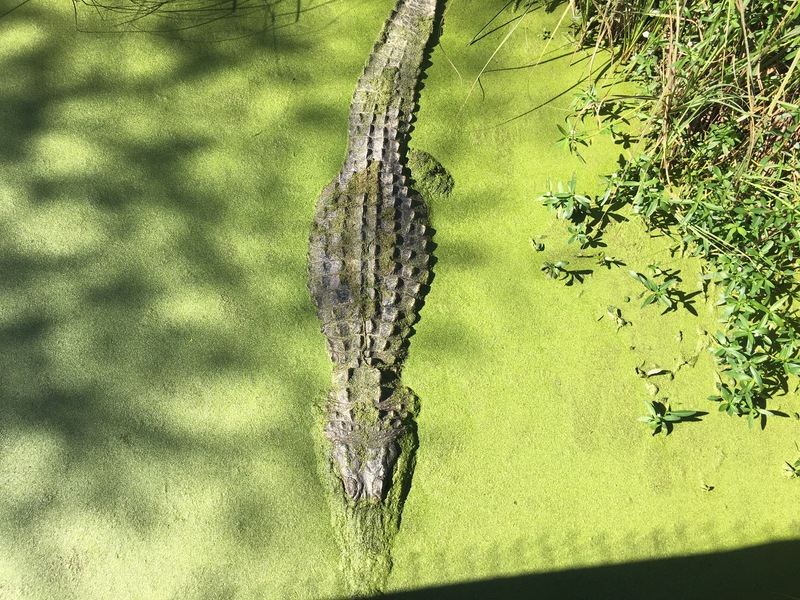 It was a fantastic overnight stay and we did their airboat tour, as well as seeing and learning about the alligators that are kept at their sanctuary. Below is one of the pictures we took.